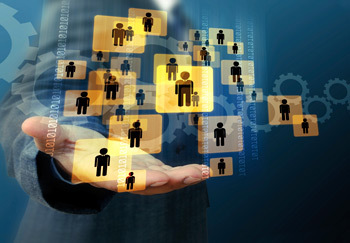 Staffing Insight, Inc. was founded in 1998 on the idea that high performing and qualified individuals placed in positions that utilize and grow their unique talents can revolutionize a company. With a keen focus on matching skills with job requirements and company culture, Systems Insight, Inc. has created a rigorous and streamlined recruiting process that allows only select top candidates through. We aren’t worried about providing the most candidates for you. Our goal is to provide the best candidates … whether it be one or five. Ultimately, we want to help you accomplish your business objectives by providing customized, strategic and innovative services for acquiring and retaining the very best talent available. In 1998, Chris Fischer left Fidelity Investments to start Systems Insight, Inc., an IT staffing services company. In the first few months an 18-month contract was established with Paycor and the first office was opened in Covington. Over the next several years, the office expanded significantly to accommodate Systems Insight’s steady business growth and the addition of many talented people. Our staffing practice grew as we added large clients that included Great American Insurance, Comair, Convergys, Fischer Homes, Cincinnati Financial, and Fifth-Third Bank. In this time of growth, our team never lost sight or our primary focus, the client. By 2001 Systems Insight’s business had grown enough that we needed a new office. We took our investment in the business and in Covington to the next level and committed to renovating a vacant building for our new office. In 2002, we moved into new office space at our current location on Madison Avenue in the heart of Covington. As more customers requested help with new or existing websites during the “dot com” boom we began to expand our service offering to include website development along with the staffing services. At the time, the team of developers already on staff became the web services team of Systems Insight. Staffing Services for job seekers looking for new opportunities and corporate clients wanting to fill positions with a specific talent. Web Services for businesses or individuals wanting to build their online presence through high functioning websites and web applications. In 2015, due to a high growth rate in business and marketing demands in both sectors the decision was made to made to split the company into two different entities. Thus, Staffing Insight was established to continue providing support to job seekers and corporate clients. Systems Insight continued on as a provider of website design and implementation. Staffing Insight is a new brand with a long history. Already considered a better way to find and hire the right talent for the right job, Staffing Insight will change the way companies build their teams. Click here for more information on world-class website design and web applications offered by Systems Insight.